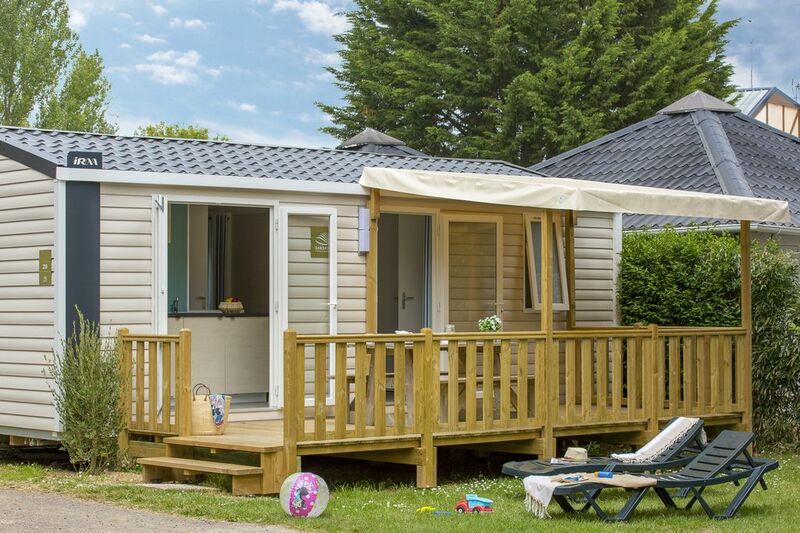 Modern and full-equipped, your mobile home in Normandy awaits you and the family for a dream of a holiday on the Côte de Nacre coast! Inside, discover its modern kitchen, cosy sitting room and bedrooms with room for all the family. Whatever the time of day, settle yourself comfortably on the semi-shaded terrace, the perfect spot for sharing a relaxing meal with some delicious Normandy specialities or a proper French breakfast thanks to the campsite’s bakery service. Make it a really great stay with Sandaya!